Go Green Go!! 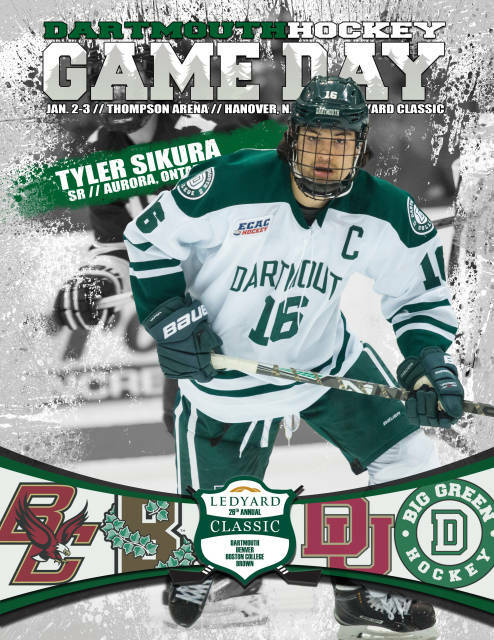 Tonight kicks off the 26th Annual Ledyard Classic features Boston College, Denver and Brown. The Big Green will play the Pioneers the first day before taking on the Eagles on the second evening with Brown alternating opponents and playing both days at 4 p.m. For more information click here.